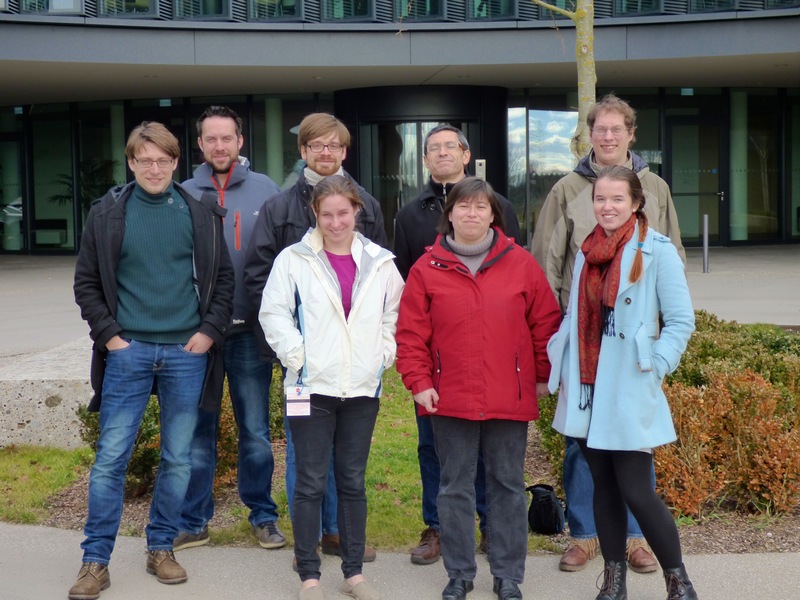 From the 9-12th of February the second CARS collaboration meeting was held at ESO in Munich. Many of the team were able to travel to the meeting from as far away as the USA, Australia, and across Europe. Those who were unable to attend joined us over the internet. We had a very productive week working together on material for papers, overviewing our science projects, and outlining action items for this year including observing plans and new observing proposals. With so much fantastic data, and more to come - expect to see some CARS science coming soon to a conference or pre-print archive near you! A group photo of those who physically attended the meeting. Back row (left to right): Matthieu Bethermin, Timothy Davis, Gerold Busch, Miguel Perez-Tores, Bernd Husemann. Front row (left to right): Meredith Powell, Tanya Urrutia, Rebecca McElroy.